The wonderfully versatile venetian blind can be fully raised to stack at the top of the window so as not to obscure the view. 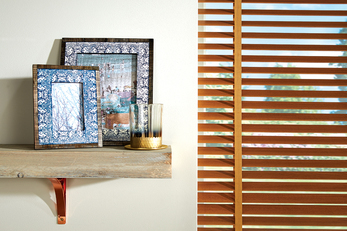 However, when lowered, lighting levels can be instantly adjusted by tilting the angle of the slats. 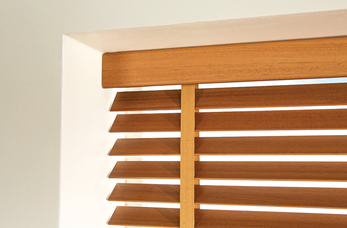 Slats are available in a variety of widths and colours in wood and fauxwood as well as aluminium to suit both traditional and contempory surroundings. Slats are available in widths of 16mm, 25mm, 35mm and 50mm. 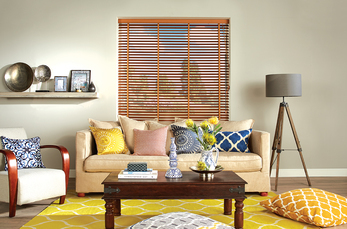 Some of our venetian blinds are also available with optional tapes. 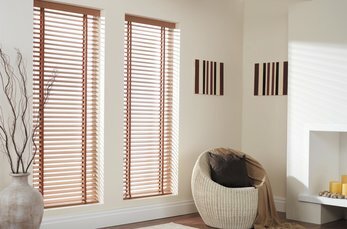 Control options include cords and wands - as with all our blinds, these conform to European safety standard EN13120. Alternatively, you can control your blinds at the touch of a button with a motorised option.